Need Field Testing on Windows and Doors? Look no further. 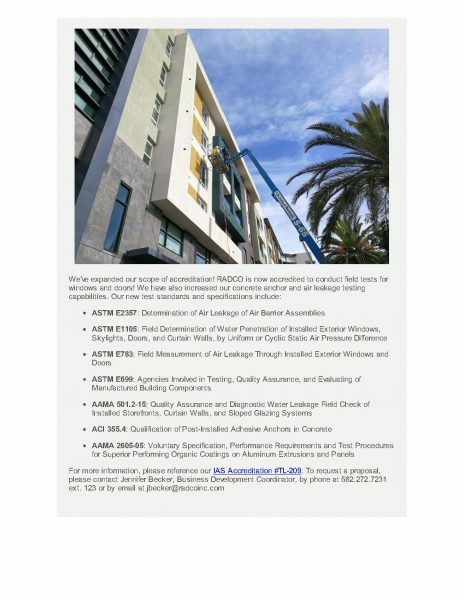 Check out the flyer… – RADCO, Inc.